Janetta Rebold Benton is the recipient of a Fulbright Senior Scholar Award, 2012-13, and will lecture in the graduate school of Art History, European University, St. Petersburg, Russia. She is Distinguished Professor of Art History at Pace University, Pleasantville, NY. Dr. Benton presents subscription lecture series at the Metropolitan Museum of Art, NY; Smithsonian Institution and National Gallery of Art, Washington, DC; Boston Museum of Fine Arts, and elsewhere in the U.S. and abroad. Dr. Benton holds degrees from Harvard, Brown, George Washington, and Cornell University. Robert DiYanni teaches courses in literature, writing, critical thinking, and interdisciplinary humanities at New York University, where has taught for the past decade. He has also taught previously for the City University of New York (Queens College), for Pace University, and as a Visiting Professor at Harvard University. 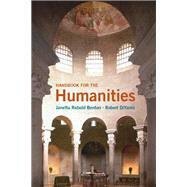 Among his books are Arts and Culture: An Introduction to the Humanities (with Janetta Rebold Benton); Literature: Reading Fiction, Poetry, and Drama, 6th edition; Modern American Poets, 2nd edition; 100 Great Essays, 5th edition; Frames of Mind, and The Scribner Handbook for Writers, 5th edition. His The Pearson Guide to Critical and Creative Thinking is forthcoming from Prentice Hall in 2013.